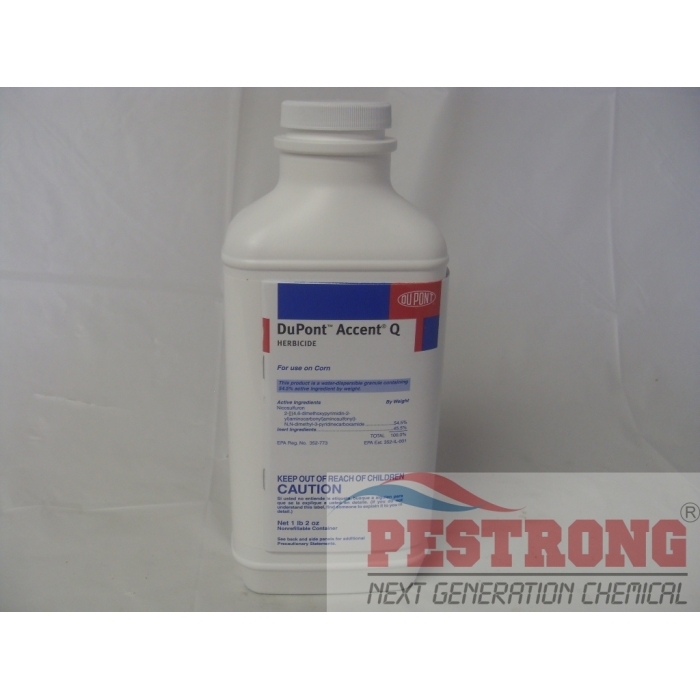 Where to Buy DuPont Accent Q Herbicide, DuPont Accent Q WDG Herbicide for use on Corn - 18 oz - $349.55 for Sale with Fast Free Shipping! DuPont Accent Q WDG Herbicide for use on Corn - 18 oz delivers selective, postemergence grass control and broadleaf weed control under a variety of conditions in field corn, seed corn, sweet corn and popcorn. The "Q" means you can confidently apply Accent Q under diverse weather conditions, on a wide variety of seed corn inbreds, sweet corn hybrids and popcorn varieties, with a broad range of adjuvants. Best herbicide for corn field!